Lapon was laid down 26 July 1965 by Newport News Shipbuilding & Drydock Co., Newport News, Va.; launched 16 December 1966; sponsored by Mrs. Charles D. Griffin; and commissioned 14 December 1967, Comdr. Chester M. Mack in command. 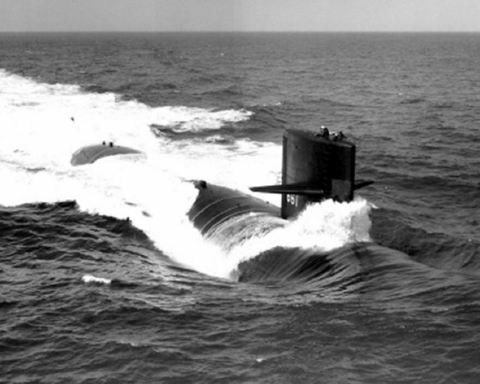 Upon commissioning, Lapon reported to Commander, Submarine Force Atlantic Fleet for duty, with her homeport at Norfolk, Va. She spent most of 1968 going through training programs and cruising along the east coast of the United States. Into 1969, she is preparing for a Mediterranean deployment and will join the 6th Fleet.